Lee Stoerzinger offers proactive investment and retirement planning. While offering a comprehensive list of services, his areas of focus are retirement income planning, life transitions, generational wealth, and tax efficiency planning. Lee Stoerzinger's knowledge is in helping his clients identify how the pieces of their financial lives fit together, understand the investment process, set realistic expectations for their personal situation, and blend investments into a comprehensive financial plan. In addition to his investment knowledge, he utilizes tools to develop an integrated “life plan” which help align the clients’ values and priorities with their investment strategy. Our team seeks to provide world-class service and exceed our clients' expectations in all matters. We hope that in all we do for our clients and our community that we continue to bring powerful meaning to the word character. 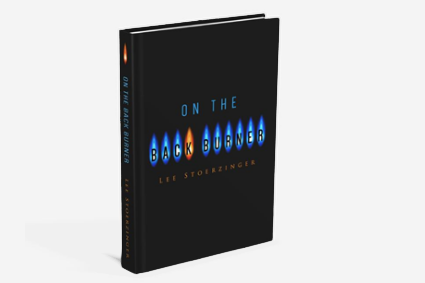 On the Back Burner is Lee Stoerzinger’s passionate exhortation to the citizens of 21-st century America to align the values that we espouse with the values that we live. On the Back Burner shows us that by figuring out what we want to leave behind, we can enrich the lives we have today.